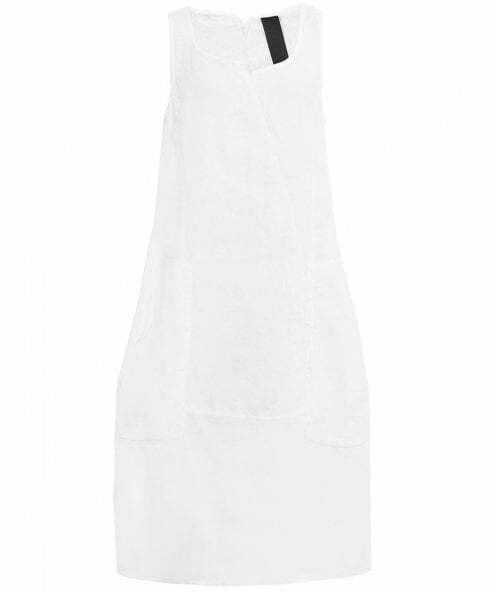 The Rundholz linen pocket dress is a go for laid back warm weather looks. Crafted from luxurious, breathable linen the dress features a round neckline with a cut out detail to the front and back as well as two large pockets that frame the tulip shaped skirt. Falling to a midi length this dress will style effortlessly with sandals and a light jacket during the warmer months.